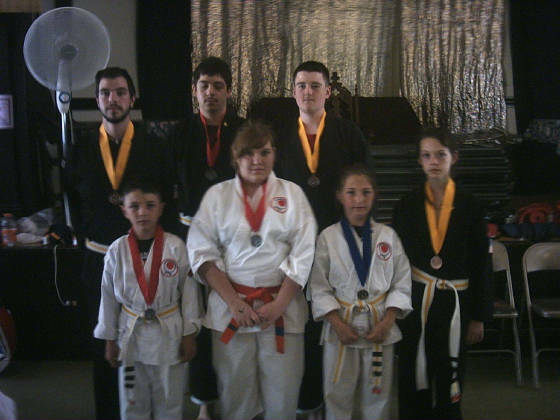 Students from Shojukempo International & R.I.Shotokan Karate-do Hombu Dojo show off there Medals in Gold, Silva, Bronze 17 students attended 7 students came home with Medals oss Shotokan! Warwick Vets High School Shotokan Karate club student bring home the Silva in Kata. Liz Periea 3rd Sgt. gave it her best and came home with a smile. all of her class mates are happy for her. oss Liz!